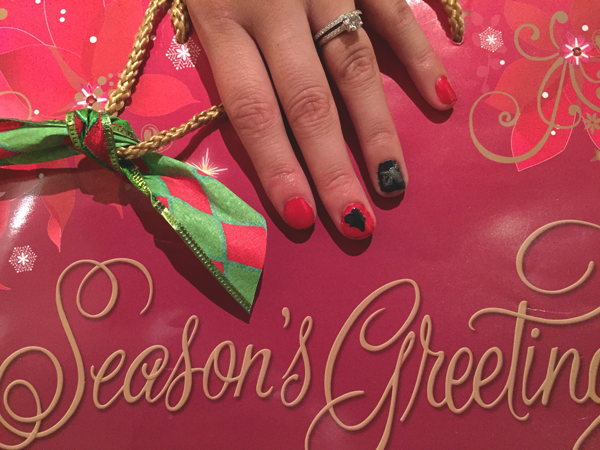 'Tis the season for Holiday sweaters, tights, and NAILS! I know I'm not the world's best nail artist but I do love me some festive nails, whether that it's painting Christmas tones on my nails or trying to master a Christmas tree on them. If your looking for the perfect Holiday nail color then look no further, Julep has your nails covered this Holiday Season! I have partnered with Julep to not only get you inspired for the season but ONE lucky winner will win THREE Holiday ready colors: Cara, Josephine, and Bradien. Like I said I'm no nail art maven...but it doesn't prevent me from having a little fun. 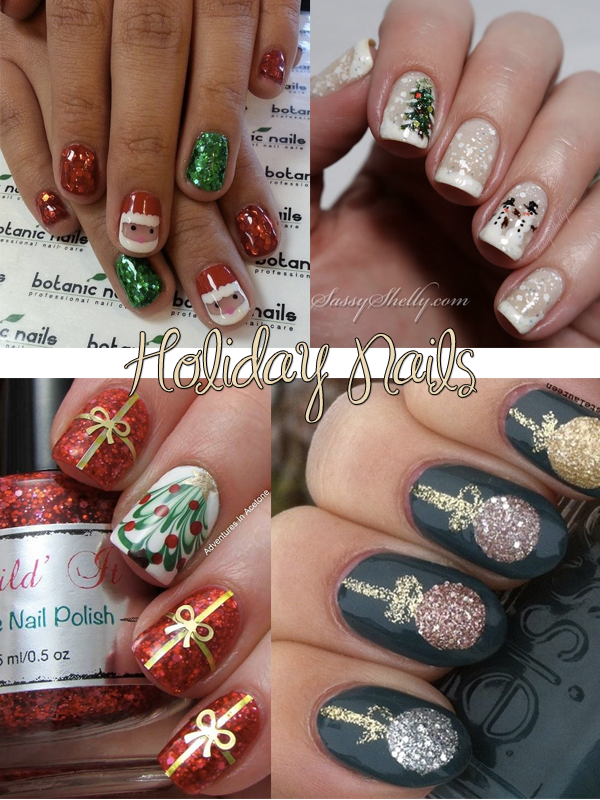 I used Julep's three colors Cara, Josephine, and Bradien to create my own Christmas inspired nail art! These three colors are not only fun to mix together and make art with it but are perfect to wear on their own as well. I love that the red (Cara) is not a deep rich red but something a little lighter and had a bit of sparkle. Which makes this color easier to wear all year around. Josephine is a dark deep rich green color that is perfect to take you through out winter. Then there's beautiful sparkly Braiden. I mean who doesn't love a little sparkle on their nails? You can polish all 10 fingers or just one for a hint of sparkle. I'm sure those of you who art nail artist can really work these polishes! 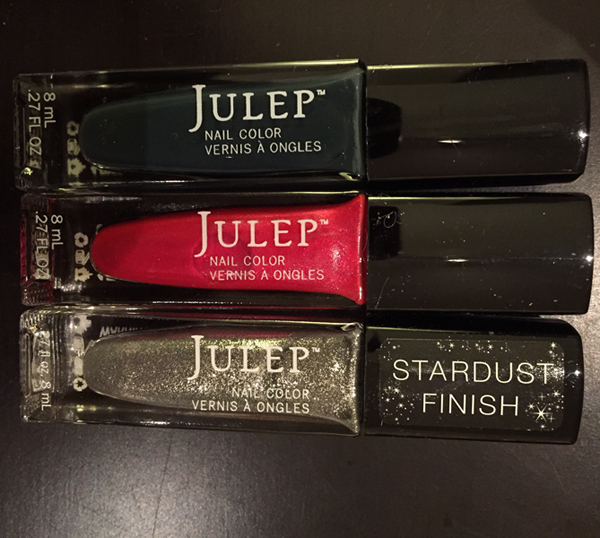 Enter to win your own set of Julep nail polishes. 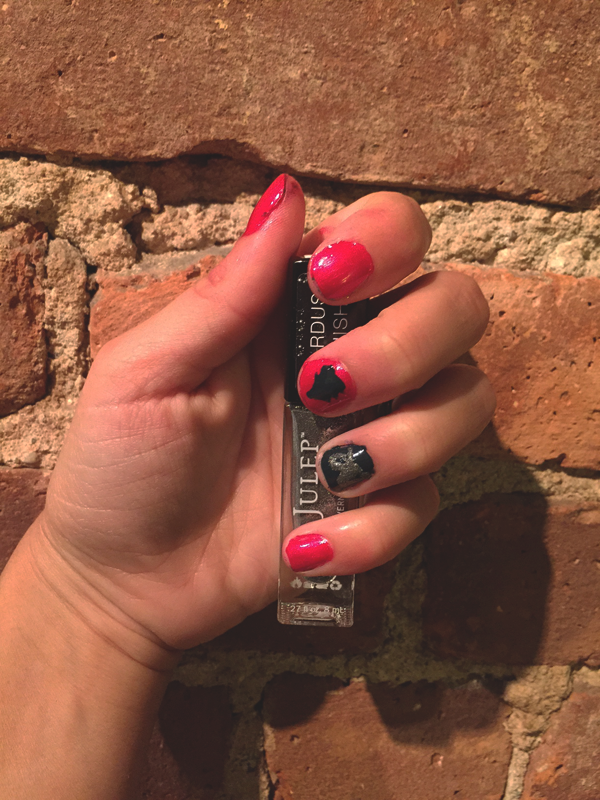 ONE lucky winner will receive THREE Julep polishes: Cara, Josephine, and Bradien. Contest ends Sunday 12/14/14 at midnight. No purchase necessary. PS Shop all of Julep's Holiday gift set here!